Great Apartment with the best Management office personnelsubmitted by Jose R. - Aug 12, 2018 |Recommended: YesSimply, I will choose again 42 Magnolia if I move again to work in Columbia SC. A peaceful place in the heart of Forest Acressubmitted by Carole C. - Jul 30, 2018 |Recommended: YesI moved to 42 Magnolia on Forest Drive one year ago. I made a good choice. I like their rule that says quiet time from 10 PM to 10 AM. I like that they change my filter ever quarter, that they provide pest control each month. And I love the beautiful flowers and grass and trees. I like my neighbors, especially the two soldiers from Ft. Jackson, gentle men. I feel a sense of security because they are here. Wonderful apartment communitysubmitted by Meredith K. - Jul 03, 2018 |Recommended: YesI greatly enjoyed living here, best apartment community I have ever been in around the Columbia area. The only reason I am moving out is because I am moving to a different city for school and work. Safe, well-maintained, beautiful community close to everything submitted by Janelle G. - Jan 26, 2017 |Recommended: YesThis has been my favorite apartment complex I have ever lived in We were 3 minutes from the Fort Jackson gate and 12 minutes from downtown. The office staff were friendly, organized and helpful. The apartment was quiet and well-maintained. Any minor problems were handled quickly and efficiently. We met people who had lived there for years and they were just as happy as we were. We were only blessed to be there for 5 months due to a military school. We were hoping for a follow-on assignment, but got stationed in KS. In one direction, we were quarter mile walk down to frozen yogurt, 2 grocery stores, a coffee shop, a post office and lots of local businesses. The other direction boasted Walmart and many chains. We could always find parking. Our mail was never lost. Oh And the monthly social events were really creative and fun. If we ever get stationed at Jackson again, 42 Magnolia will be our first choice. So far, it has been a pleasure.submitted by Marvin C. - Feb 02, 2016 |Recommended: YesIt's a safe, family oriented environment. response from property - Oct 05, 2015 Thanks so much for taking the time to share your comments. We are so pleased that you enjoy your home and the lovely Forest Acres community. Great place to live and well maintainedsubmitted by Jennifer W. - Jul 03, 2015 |Recommended: YesVery peace and doesn't feel like apartment living. Staff is very pleasant and helpful. Response to any situation is prompt and efficient.submitted by Linda T. - Jun 02, 2014 |Recommended: YesIt is a pleasure living here. response from property - Jun 12, 2014 Thank you for choosing 42 Magnolia as your home! We are so pleased to receive your feedback and kind comments. If there is anything we can do to improve your residential experience or make your home more comfortable please let us know. We sincerely appreciate your residency and the time taken to provide feedback. Great place to live - quiet and nice neighbors.submitted by Kathleen D. - May 29, 2014 |Recommended: YesVery quiet and community members are great! response from property - Jun 11, 2014 Thank you for taking the time to share your comments. We agree, 42 Magnolia has amazing residents! 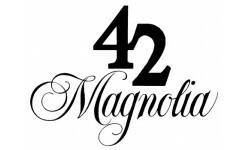 We know you have a choice in where you live and are so glad you have chosen 42 Magnolia as your home. Please contact us if there is anything we can do to assist you in your home. I am enjoying my stay very muchsubmitted by Virginia C. - Sep 06, 2013 |Recommended: YesI would highly recommend 42 Magnolia to anyone who is interested in an apartment in the Columbia area. The apartment is quite comfortable and the amenities outstanding. response from property - Jun 09, 2014 Thank you for taking the time to share your experience. We appreciate you choosing 42 Magnolia as your home and are pleased to see your apartment home needs are satisfied. If there is anything we can do to assist please let us know. A wonderful place to live where the staff makes a difference!submitted by Kevin H. - Sep 01, 2013 |Recommended: YesQuiet, professional, mature community where you don't have to worry about other tenants or the riff raff crowd! response from property - Sep 05, 2013 Thanks so much for the positive feedback. Management is here to assist with all your residential needs and are thrilled you are happy with your choice to live at 42 Magnolia! As always, please let us know if there is anything we can do to assist! response from property - Sep 05, 2013 Thank you for the kind words and feedback. As Management, we strive to daily to achieve an amazing living experience for all residents. If there is ever anything we can do to assist please let us know. This is a peaceful, quiet, beautiful place to live. submitted by Katie F. - Jun 01, 2013 |Recommended: YesI feel safe here. It is almost always quiet and the neighbors are respectful. It has been perfect for us. We were new to the area, and needed a place we could trust. This has been it. The staff is friendly and helpful. 42 is close enough to downtown to make going there very convenient. There are also plenty of wonderful restaurants and stores within a mile. response from property - Jun 20, 2013 Thank you for taking the time to post a review of 42 Magnolia! We so appreciate your residency. It is our continual goal to ensure your living experience exceeds your expectations. Please don't ever hesitate to contact us at 803-790-HOME(4663).